This chart is provided for experienced canners familiar with safe canning methods. 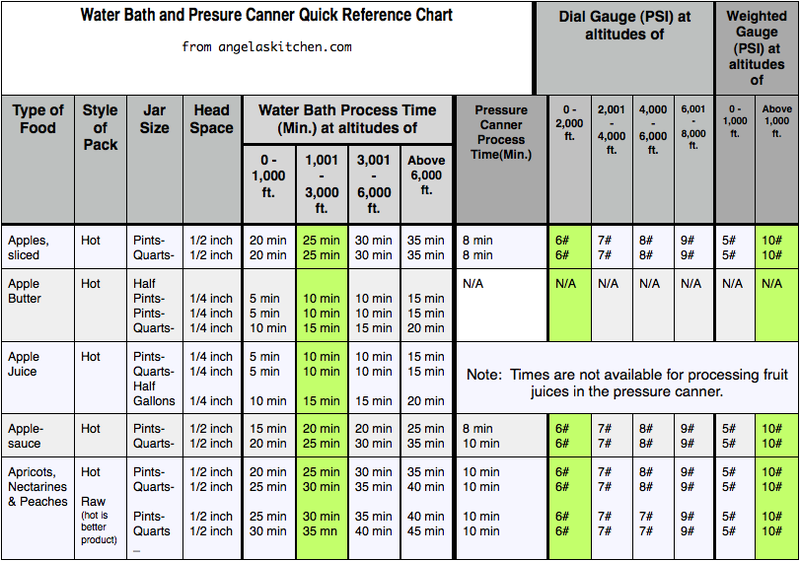 For pressure canning, the time assumes a full 10 minute exhausting of the pressure canner has happened before timing begins (see the manufacturer’s instructions for your pressure canner). Once pressure is raised to the accurate level and stabilized, timing begins according to chart. For more complete canning instructions, refer to National Center for Home Food Preservation. This is being updated. Thank you for your patience!